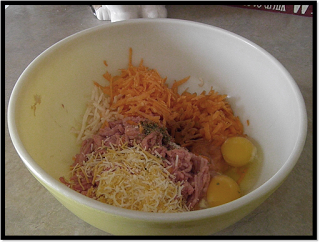 The inspiration for this week's homemade dog treat recipe came from 2 different sources. 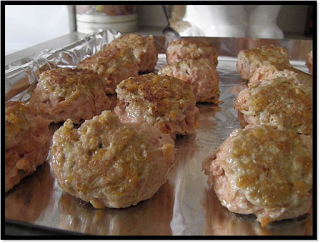 The first, more people reached out asking for a meaty homemade dog treat. The second was a post I stumbled across earlier in the week on Facebook. A Dog Dad purchased a bag of dog treats that looked like meatballs. Unfortunately, after feeding his pup a few, they didn't settle well. He threw the rest of the bag away and was frustrated. His pup loves meaty treats but has a sensitive tummy. This week, the lean ground turkey was on sale. We picked up 4 packages. I froze 3. My original plan was to make our kids a pup-friendly meatloaf for dinner along with some roasted vegetables. However, at the last minute, I decided to make them a Crock-Pot feast and use the ground turkey to create a meaty homemade dog treat. Our fur-kids love meaty treats too, but up until today, we've relied on lean meats that we've grilled, baked, or sauteed for snackin'. I grabbed some ingredients, stood at the counter. Hands on hips. My brain was spinning like a hamster wheel. Finally, it happened. I came up with the recipe for our new Bodacious Turkey Veggie Meatball Dog Treats. And, I altered a few ingredients at the end to make a grain free version. Mix well. Shape into balls that are an appropriate size for your pups. Add a drizzle of olive oil to a non-stick pan and brown the meatballs. Once browned, put on a non-stick cookie sheet, or a cookie sheet lined with a non-stick liner or non-stick foil, and bake at 350 for 25 minutes. 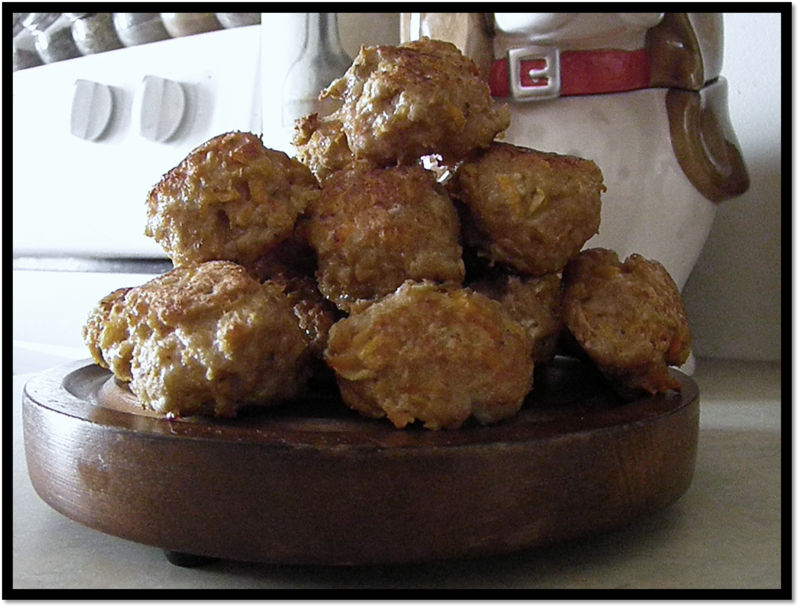 These Bodacious Turkey Veggie Meatball Dog Treats smelled AH-MAY-ZINGGGG while baking. As always, I tasted the finished product first before allowing our kids to taste test. After the first bite, I could have done cartwheels down the street. With a sprinkle of salt, even better to my human palate. When these meaty beauties were cooled, our kids were the next in line to sample. It was love at first bite. I cut up 4 meatballs for them to share. The plate was empty in less than a minute. On a side note, because these are made with meat, you need to keep these treats refrigerated. They DO freeze very well. So, keep out only enough treats for a few days. Freeze the rest. Take more out as needed.